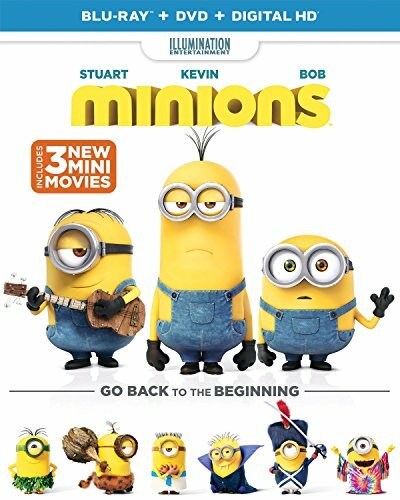 If your child is a fan of the Despicable Me movies, then you probably know all about those fun yellow Minions! Favorite movie characters make great crafting inspiration for preschool crafts! 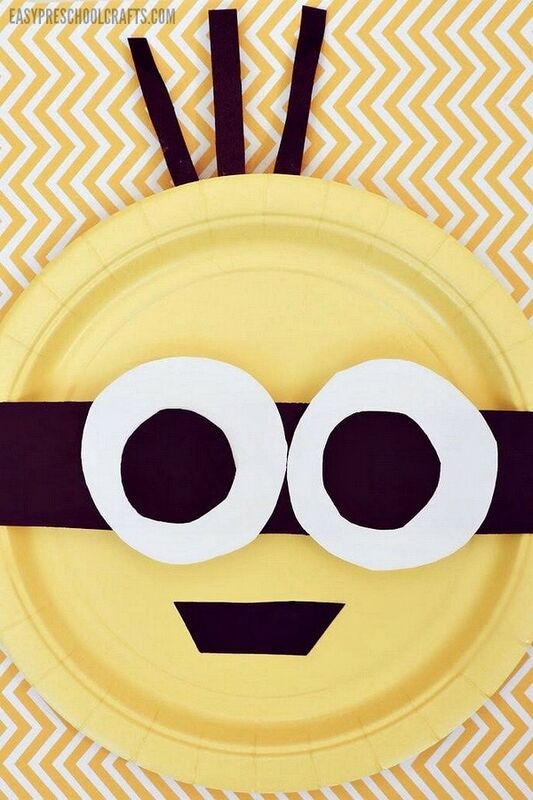 Our paper plate Minion Craft was inspired by our family’s recent binge-watching of all of the Despicable Me movies! 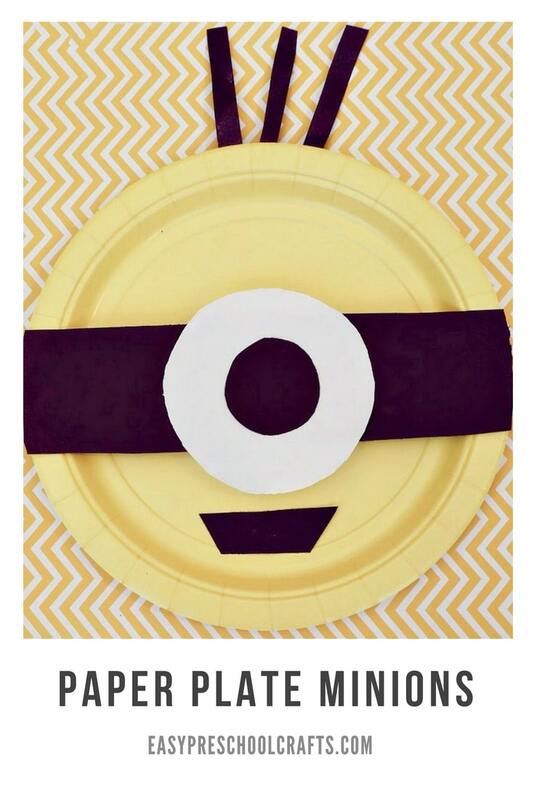 Check out how easy it is to make this Minions craft with some basic craft supplies! Movie crafts for kids are some of the best to make. It’s fun to bring movies to life after you’ve seen them in the movie theater or had a family movie night! Minion craft activities are especially popular. If you’ve seen any of the movies, you probably know way. Banana, anyone? 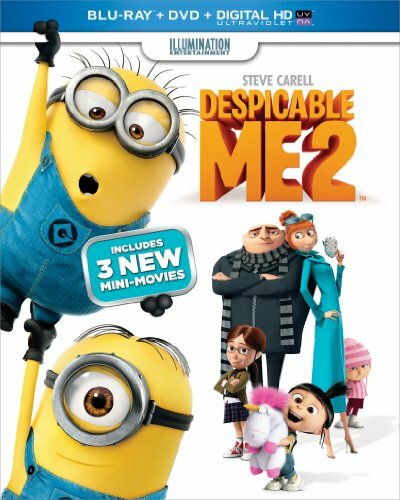 If you haven’t seen any of the Despicable Me or Minions movies, definitely check them out. My kids love them though they actually prefer watching them at home than seeing them when they’re first out in the movie theater. I’m not sure why but we haven’t had the best success seeing them in the theater. But the DVDs are getting worn out! Anyway! 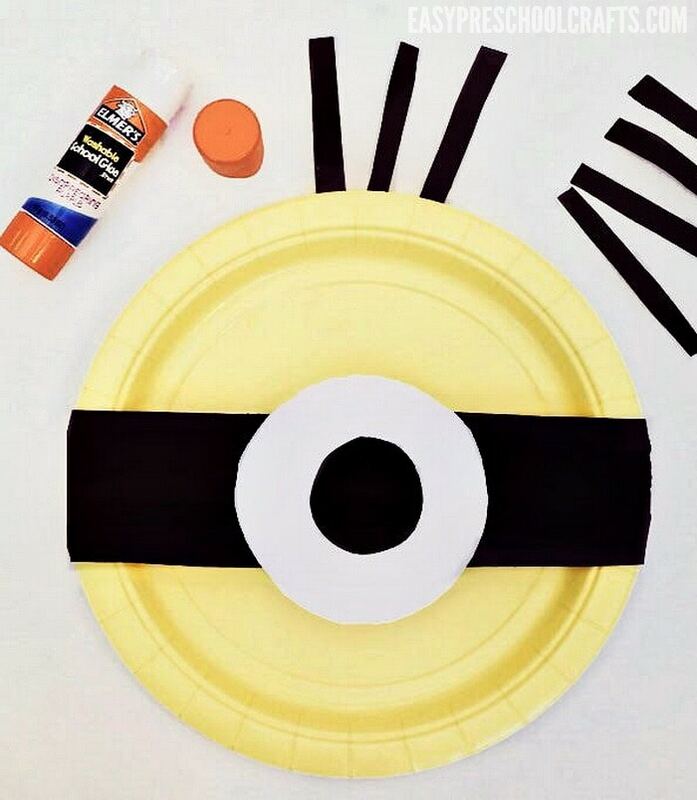 If you want to make your own Despicable Me Minions, you’ll just need some simple craft supplies to get started! 1. 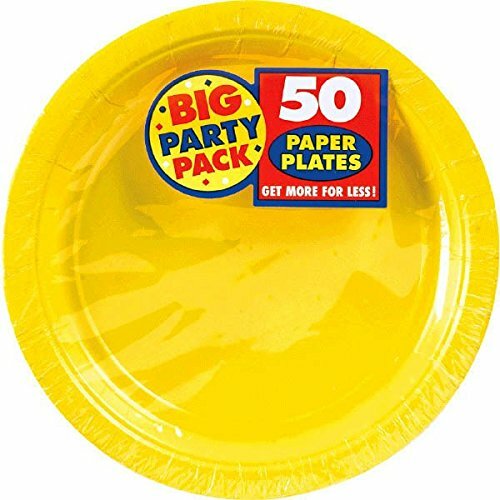 Start with a yellow paper plate. 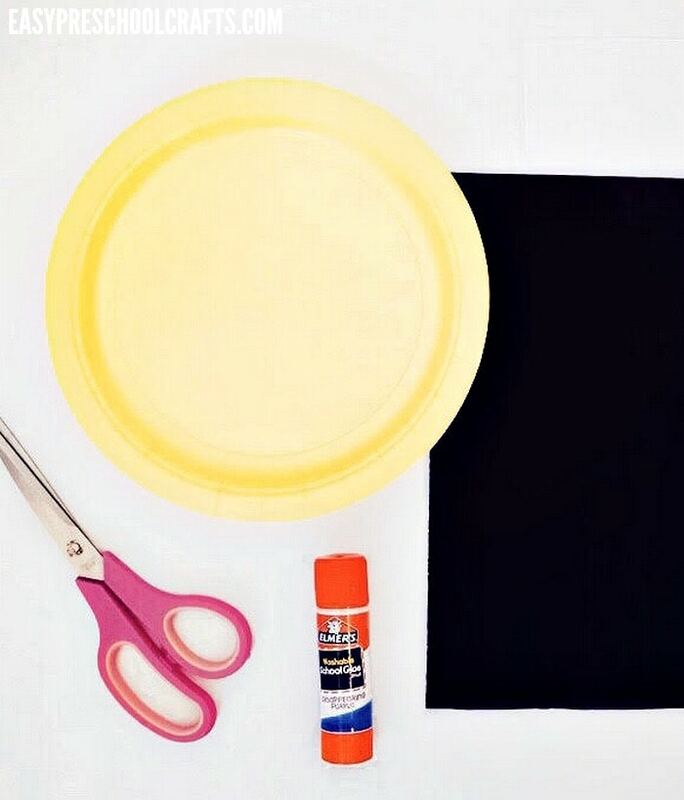 If you only have white paper plates, use markers or paint to turn them into yellow plates! If you do decide to use paint, plan ahead so you have time to let the paint dry completely. 2. Cut a strip of black construction paper that is long enough to go across the width of the yellow plate. 3. Cut one or two white circles from the white construction paper. Despicable Me Minions can have one eye or two so cut out as many circles as you need. Or make one of each Minion! 4. 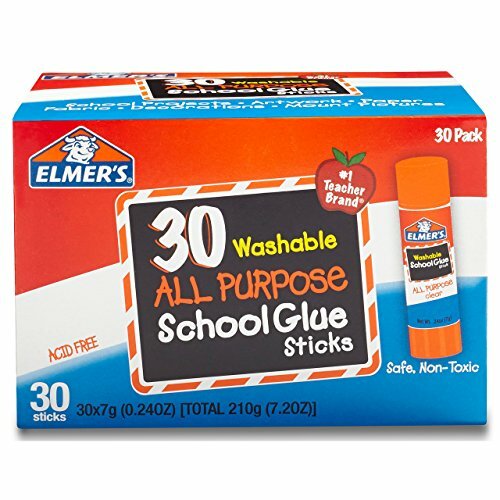 Glue the white circles onto the middle of the black strip of paper. If you’re only making one eye, center it in the middle. If you’re making two eyes, be sure to center both of them. 5. 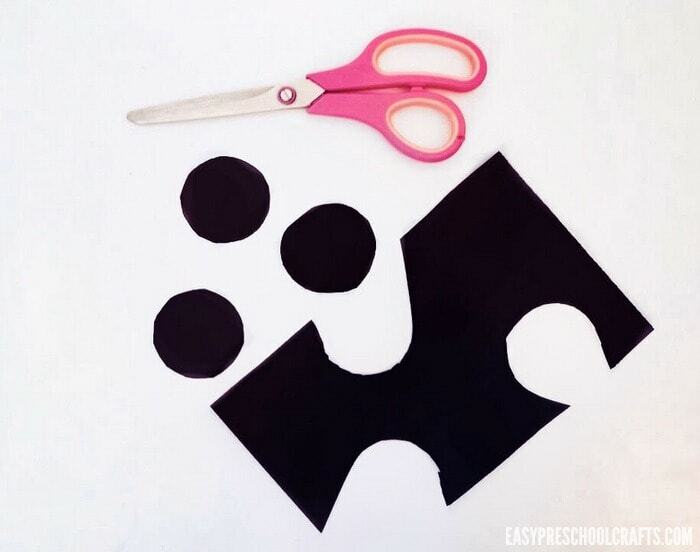 Cut smaller circles out of the rest of the black construction paper. These circles will be the pupils for the eyes so you need one for each eye. 6. Glue the small black circles in the middle of the white circles. 7. Glue the black strip of paper with the eyes on the front of the yellow plate. 8. 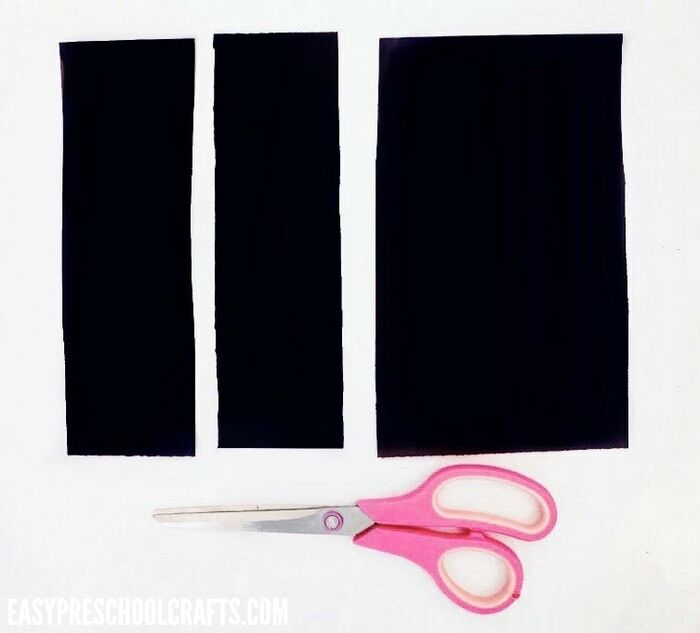 Using more of the black construction paper, cut small strips to be the hair for your Minion. Glue on the back of the plate on the edge above the eyes. 6. Then cut a small black trapezoid shape to be the Minion’s mouth. Glue on the paper plate below the eyes. 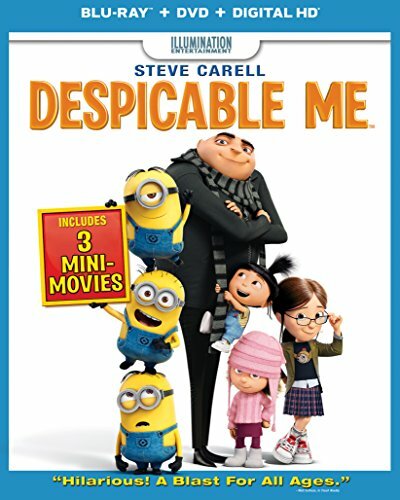 These are so easy to make that you can even make a whole crew of Despicable Me Minions! Another thing I love about this Minion craft is that you can easily turn them into puppets too. If you attach craft sticks to the back of the plates, you’ve got a puppet! Make these as a family for something fun to do together! 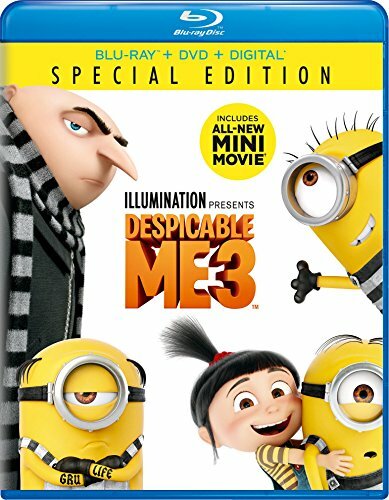 If you haven’t seen any of the Despicable Me or Minions movies, you can snag them on Amazon! Build your library because they’re perfect for family movie nights together! If you are looking for more crafts that use yellow paper plates (in case you have a few leftovers), try our Paper Plate Fish Craft! 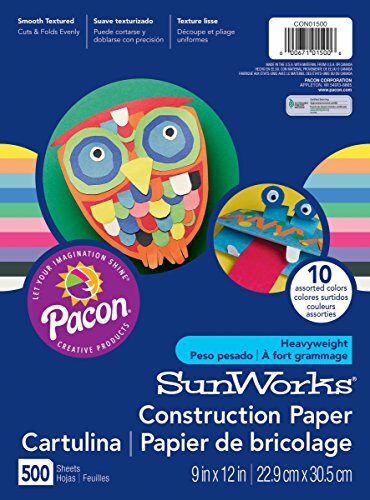 It’s another adorable project that is fun to make with the kids. 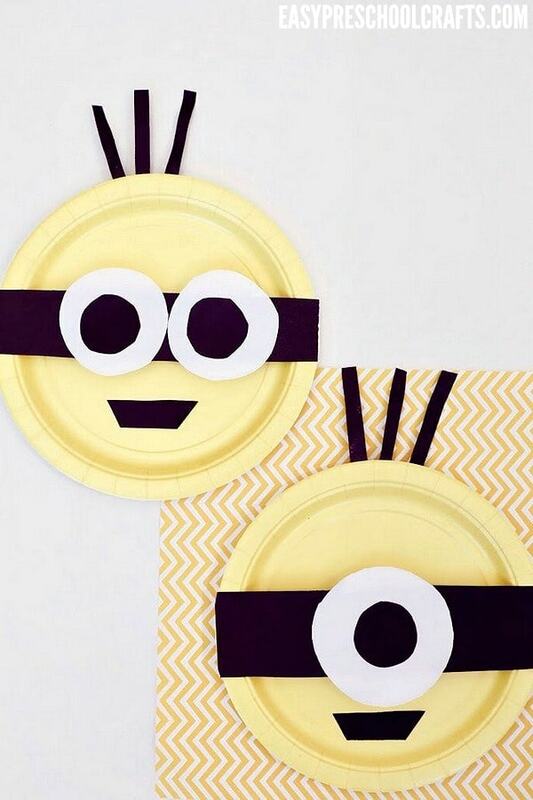 For more cute and easy Minions crafts for toddlers, try making Minions Snack Cups!